We at East Cobb Locksmith offer Auto Marietta Locksmith GA services, among others. If you ever have yourself accidentally or unintentionally locked out of your car, never fear for our expert locksmiths in Marietta are here. We have a team of licensed and bonded locksmith technicians who are experienced and expert in auto locksmith emergencies. 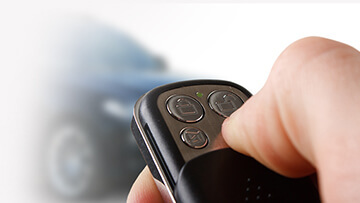 You can always depend on us to give solutions to any kind of vehicular lock and key problems you might have. Is your car a Lexus? A GMC? Or is it a BMW, Mazda, Kia, Ford, Mercedes, or something else? No problem! East Cobb cater to all kinds, types and brands of vehicles. The auto Marietta Locksmith GA services we offer range from automotive emergency lockout, to jammed trunk, jammed doors, and even jammed glove boxes. We also deal with transponder keys, transponder chips, automotive keys, ignition cylinder changes, smart keys, and keyless entry remote. We also duplicate and make all kinds of car keys. We repair, change, and install all kinds of car locks. We also extract and remove broken or stuck car keys. day, any day of the week. Thus the need for emergency services. to your auto locksmith emergency needs. you are locked out of your vehicle and you forgot the keys inside. but not for being locked out of your vehicle. and we are always ready to be of service. It may also be that your car key gets stuck in the door lock or the ignition, or it broke and a part of it is stuck inside the lock or ignition. Do not panic. Call our auto Marietta Locksmith GA. We have expert locksmiths in Marietta GA who can deal with this kind of situation without doing any damage to your vehicle. We provide mobile Auto locksmith in Marietta. For all your locksmithing needs, emergency or non-emergency, you can reach us at any time. Our staff is always ready to take your calls and attend to your needs as soon as possible.